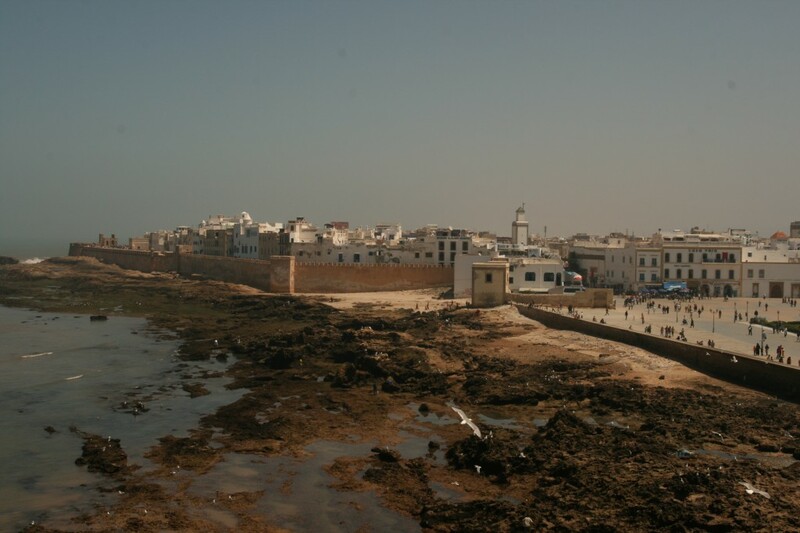 Essaouira was always a fishing port, not a port for trade, etc. Still it required a fort for protection giving it some dramatic buildings to see. It is also very windy so it has become a haven for wind surfers and the like. Then we show up and the wind dies. When we arrived the sea was packed and the beach was empty, now the opposite was true, it became a beach town. The surfers loss was our gain but I feel sorry for those ho traveled so far to find calm conditions. Today we waked around the city with our guide Jamal seeing the fort, port and various markets. 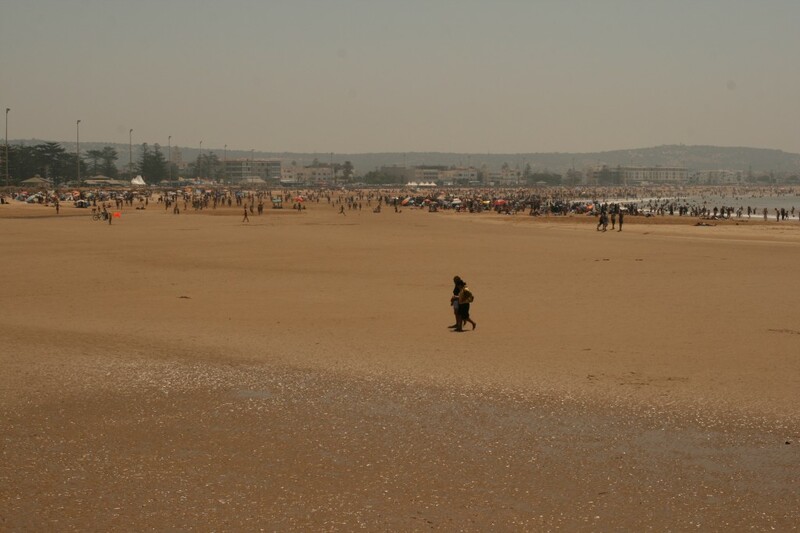 Jamal lives in Marrakech which is not that far (except for the road construction) so he brought his family out so they could have a day on the beach and gave Sydney some children to play with. 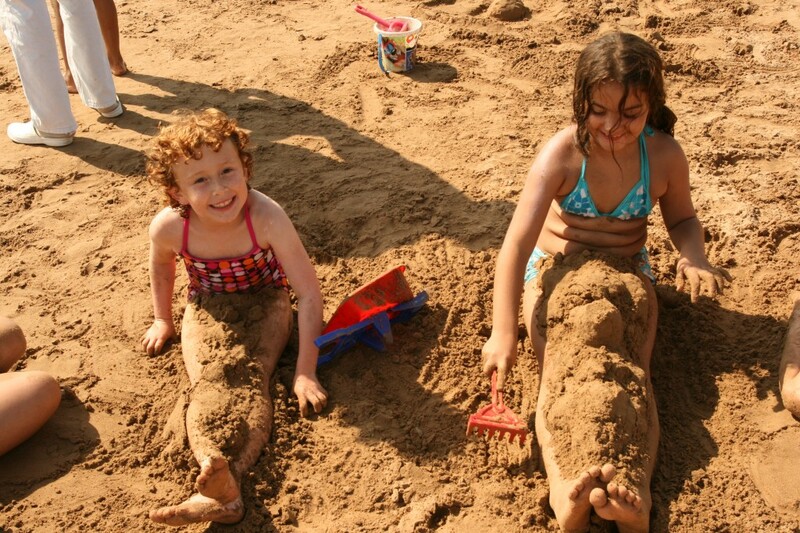 They spent the afternoon on the beach and were very nice to her. 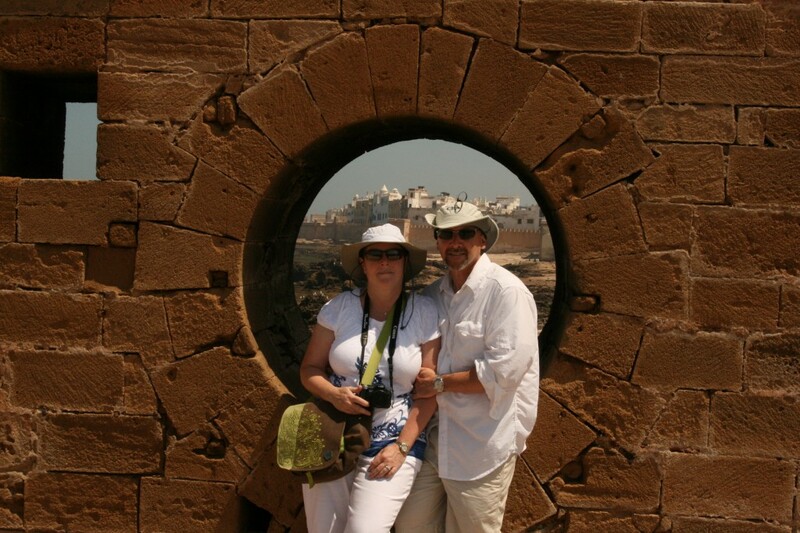 While she was busy Jamal took Kim and I out to an Argan Oil Manufacturer. Argan is one of those plants that has a multiple purposes. 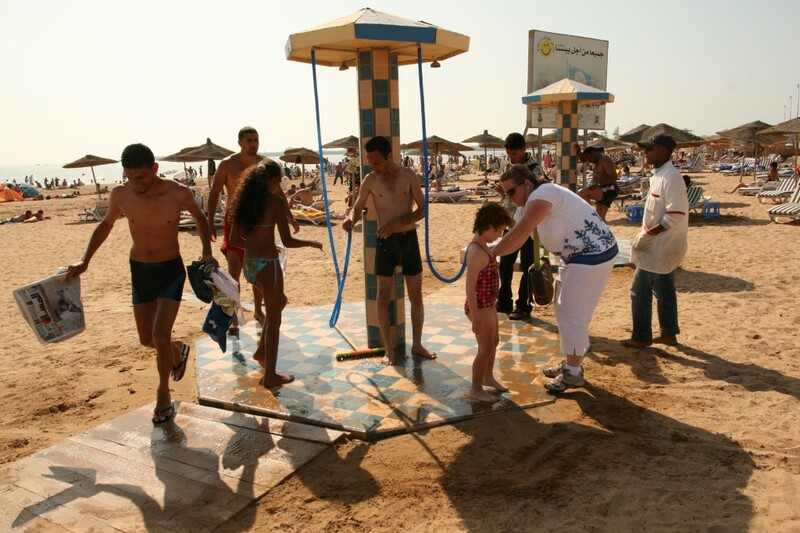 To some it is a luxury item and is hard to find outside of Morocco. Look it up on Wikipdia. What was interesting about the factory we visited today is it is a woman’s cooperative. When a married woman loses her husband thru death, divorce or abandonment they will most likely become destitute. In the case of the latter two reasons the tradition holds the woman must have been at fault. 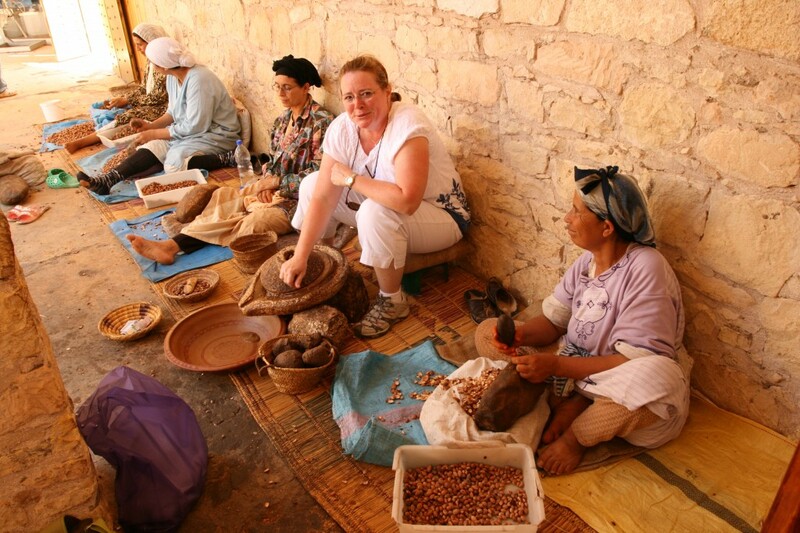 So to help them out woman’s cooperatives have formed were they can work together and manufacture something to sell like clothes, rugs and in this case, Argan oil. The whole fruit is utilized, the meat goes to feed tha animals, the pit to fuel and the seed is ground up for oil. It was very tasty. Finally a photo of us. For 2 Dirhams more you get polished. Posted by tdelora on Tuesday, August 11, 2009, at 4:48 pm. 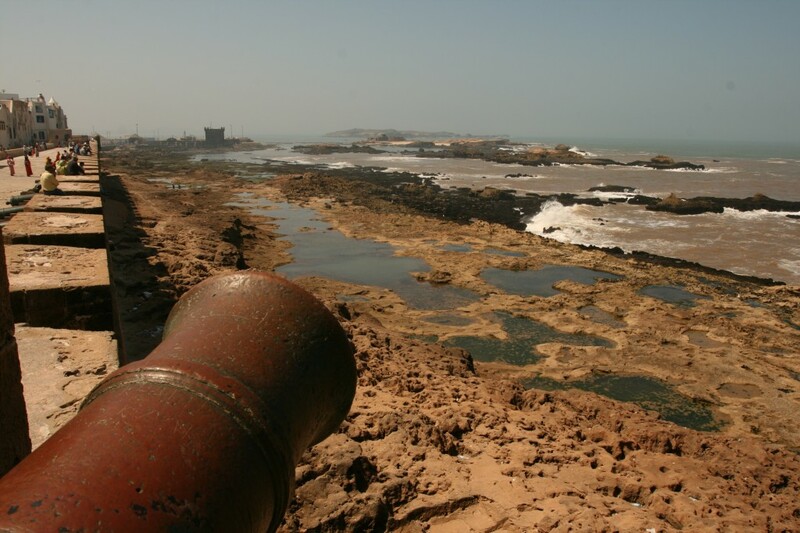 Filed under Essaouira, Morocco, Travel. Follow any responses to this post with its comments RSS feed. Both comments and trackbacks are currently closed.